﻿ Verena Groom-White, Registered Homeopath - What is Homeopathy? Homeopathy is a form of medicine that was developed over 200 years ago by Dr Samuel Hahnemann, a German chemist and doctor who had become disillusioned with the medical procedures at the time. 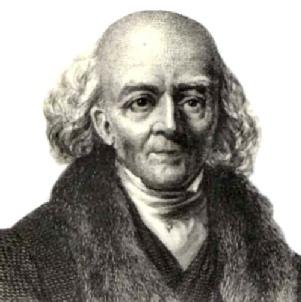 Hahnemann's greatest discovery was 'the law of similars'. He had set about trying to discover the relationship between Cinchona, an anti-malarial drug made from the bark of a tree, and the disease itself. He wanted to know what made this particular drug cure malaria, rather than any other. After taking the drug repeatedly over several days, he began to develop the symptoms of malaria – high fever, shivering and chills, heavy sweating, tiredness, headache and muscle pain. He realised from this that a substance which causes symptoms to appear in a healthy person can also be used to treat the same symptoms in a sick person. This principle of 'like treating like' is the cornerstone of homeopathy. There are more than 3,000 homeopathic remedies made from plants, minerals and the animal kingdom. They are prepared by a sophisticated process of dilution and succussion (vigorous shaking). After this process, there is very little of the original substance left and the remedy instead seems to take on the energy pattern of the substance. The absence of harmful chemicals means that homeopathic remedies are completely safe and can be prescribed for everyone – including children, older people and pregnant women. Unlike conventional medicine, which targets specific symptoms, homeopathy adopts a more holistic approach, focusing on the individual and their physical, mental, emotional and spiritual needs. According to Hahnemann, where there is an imbalance in the 'vital force' responsible for the healthy running of the body and combating disease, homeopathic remedies stimulate this 'vital force' and harness the body's own energy to restore balance and bring about health and well-being. Homeopathic remedies are regulated by the Medicines and Healthcare Products Regulatory Authority (MHRA). Homeopathy has been available on the NHS since 1948 and there are four NHS homeopathic hospitals in Bristol, Glasgow, Liverpool and London. Homeopathy has been heavily patronised by the British Royal Family since its introduction to the UK in the 1830s. The Queen and Prince Charles both receive homeopathic treatments, as did the the Queen Mother. In Britain, the market for homeopathy is growing at around 20% per year. In 2007, it was estimated to be worth £38m, and is projected to reach £46m in 2012. 'Homeopathy is showing steady growth and this is likely to continue.' (Mintel, Complementary Medicines, April 2007).